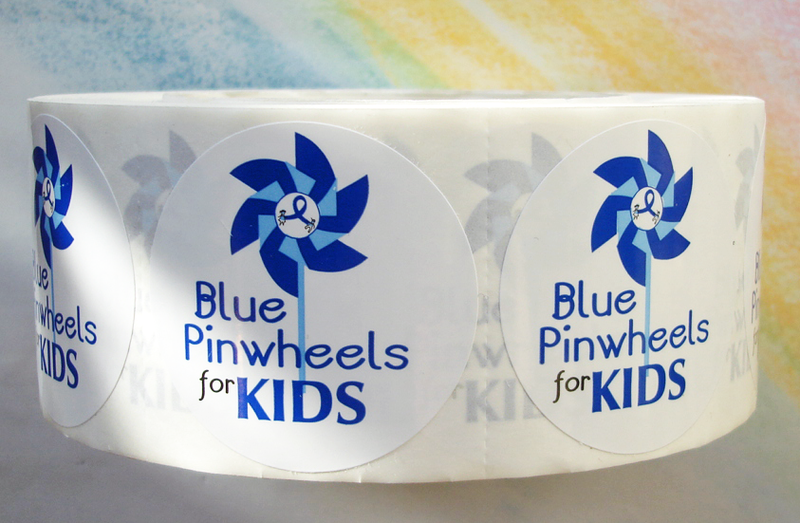 Blue Pinwheels for KIDS - Roll of 1,000 Stickers(#274-S). Roll of 1,000 stickers only $53.95 per roll. You choose, all one theme or a combination of designs. *Price includes a 10% quantity discount. In addition to our sale packages, quantity discounts are available on many of our products including Buttons, Lapel Pins, Magnets, Pencils, Pens, Stickers, Wristbands & more. Please call us at 1-800-366-2150 to request a quote or if you have any questions. 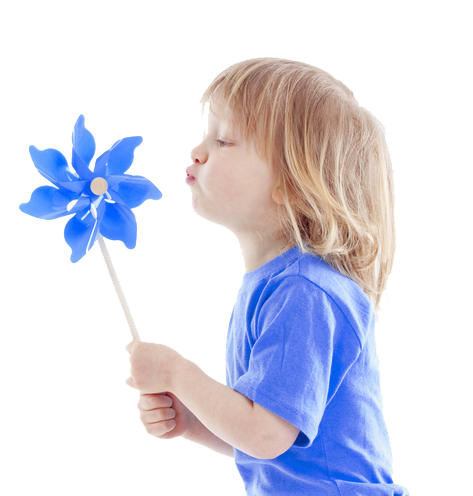 Blue Pinwheels on a stick - Box of 25 Pinwheels Plus a Free 18x24" poster with your order. 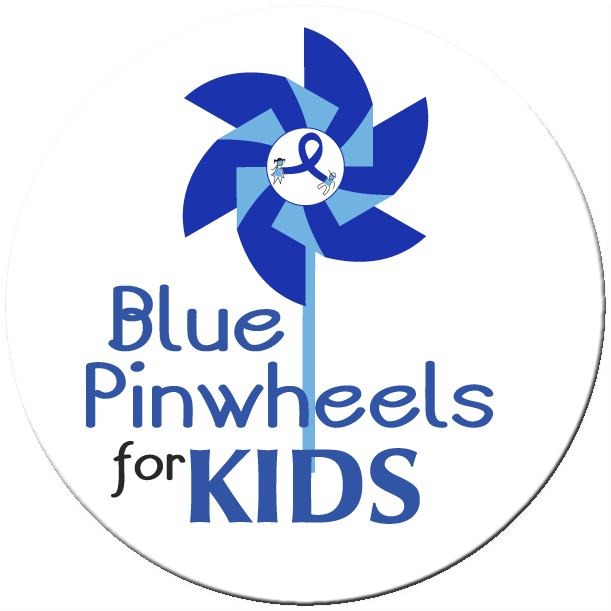 These pinwheels feature blue and silver mylar petals and are 7" in diameter, on a 12" blue plastic stick. Box of 25 pinwheels, only $39.95 per box. *Now get a Free (18"x 24")poster with your order! (see details).